I specialize in designing affordable WordPress websites for small businesses and non-profits, as well as managing websites for larger organizations on various platforms. This is a subset of my larger marketing / digital / social media work, just like photography and writing are, but it’s one that has proven very rewarding. It’s a real delight to help a client identify their website needs, goals, and wishes, find the right WordPress theme, populate the site with gorgeous and effective content, and then provide ongoing support. 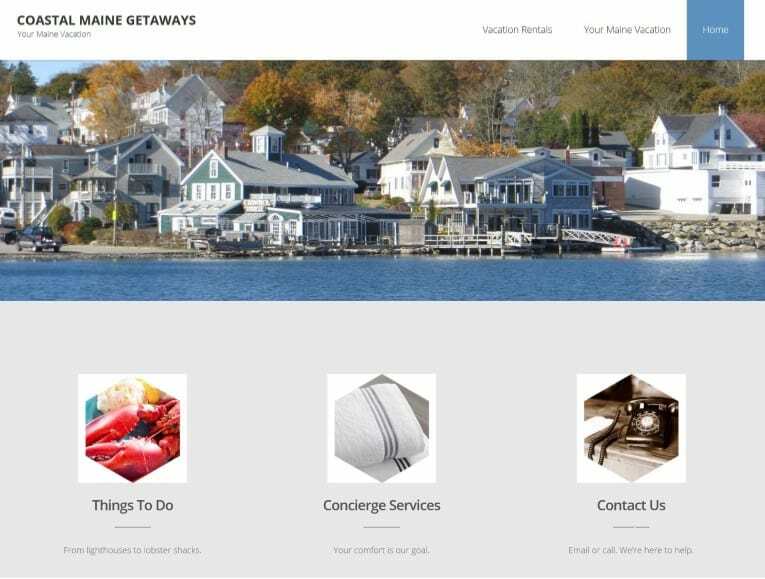 The vacation properties managed by Coastal Maine Getaways were listed on VRBO (Vacation Rentals By Owner), which didn’t provide CMG with their own branding or with enough opportunities to customize their listings. The IMPACT Conference team had an existing WordPress website, but they didn’t feel it reflected their youth-focused civic engagement mission. Also, the site had gotten a bit unruly over the years, with a lot of people adding pages and documents, and others needing access to the dashboard to update information. Note: the images above are linked to the client websites. Those websites may change over time. If you need a WordPress website or if your current website needs an overhaul, we should talk! Fill out this quick Contact Form to start the conversation. We’ll first identify your general needs and then I’ll provide a “scope of work” based on what you’ve told me, including a project cost. See more references on LinkedIn.